Oh yes, this can be so much fun and it pays. In fact, it is advisable that you make this into an everyday exercise. Make a list of difficult English words and try and work them up into a sentence. Why this is fun is because you will be able to know and even speak better with your knowledge of more words. Your thinking will also improve simply because we think in words. So that means that the more words you know the more ability you can process thoughts and ideas. I am going to suggest how you can even make this to be more fun. You can give yourself the assignment of working up those new words you are learning and putting them into sentences. 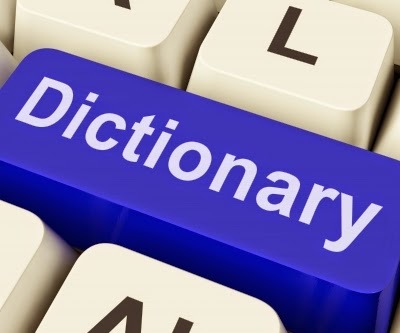 The Dictionary is Your Closest Friend: Use it! For example, I learnt some simple words today. I learnt the words ninny and chichi today. Do you know what they mean? Okay, let me use them in a sentence to help you comprehend. Unless you are a ninny, I see no reason why you can't tell your friend to stop acting chichi. Ha ha ha...I guess I tried, huh? Stop pretending you know because I won’t even bother to tell you that chichi means pretentious. Alright. Have you ever heard of the word rambunctious? Or even mellifluous? How about the word unctuous? Do you know what they mean? I don't. I'm going to check my dictionary now. Now you can go and do the same. Then repeat with so many other new words. Try and work them up in a sentence. I tell you it's fun.